This is what you've been waiting for! Just slightly under 2000 sq feet situated on a nice corner home site. This one story 3 bed home is ready for you. As you enter the home and stand at the foyer you have the living on your right and dining on the left. Front the front door you can see the family room and out to the back yard. The master bedroom is on the right side of the home and the second and third bedroom are to the left. The kitchen is ready for any aspiring chef. It has a prep island with sink in addition to the main sink and plenty counter space. Home features a Brand New AC unity and Brand New Roof. There is 18 x 18 tile throughout the home with laminate in all the bedrooms. 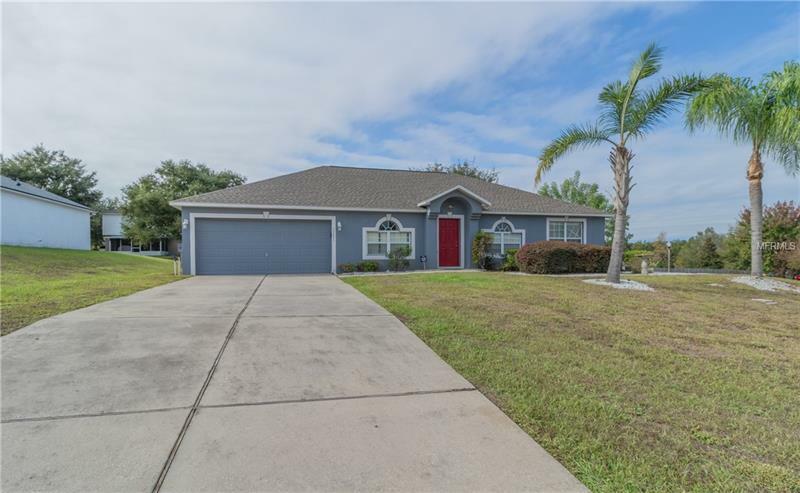 Close to Lake Minneola where you can enjoy the outdoors, Waterfront Park, Public boat ramp, Lake Hiawatha Preserve, and for your furry friends the Clermont Dog Park. This home offers the Best value in Clermont. Quick access to Winter Garden, The Turnpike, Hwy 50, 429, and more.